Step 1: Buy one I Can’t Believe It’s Not Butter® Spread product or Smart Balance® Buttery Spread product. 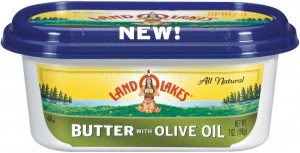 Step 2: Send this original official mail-in request form, the original retail store and product identified cash register receipt dated after 4/1/10 with I Can’t Believe It’s Not Butter® Spread or Smart Balance® Buttery Spread purchase, and the UPC barcode symbol from the I Can’t Believe It’s Not Butter® Spread or Smart Balance® Buttery Spread package purchased. This offer expires 5/31/10. Limit one coupon per family. I printed the form and it says "Offer limited to one coupon per name, family, address or household," so I would say you can't submit more than one. can I submit more than one rebate?